Gentle Readers, a conventional post will come today but I wanted to put out this item separate from it. As you know, Abraham Lincoln hailed from the Republican Party. The Republicans today haven’t forgotten. I have it from Kevin Levin that for his birthday, the GOP’s official twitter offered up a fake Lincoln quote. This speaks volumes for their understanding of history, though I suppose we must give them credit for not attributing something from Alexander Stephens or Jefferson Davis to him instead. But I write this to help, not mock. I am not a Know-Nothing. That is certain. How could I be? How can any one who abhors the oppression of negroes, be in favor or degrading classes of white people? Our progress in degeneracy appears to me to be pretty rapid. As a nation, we began by declaring that “all men are created equal.” We now practically read it “all men are created equal, except negroes”When the Know-Nothings get control, it will read “all men are created equal, except negroes, and foreigners, and Catholics.” When it comes to this I should prefer emigrating to some country where they make no pretence of loving liberty — to Russia, for instance, where despotism can be taken pure, and without the base alloy of hypocracy [sic]. We left Andrew Reeder in his woodchopper disguise and bedded out on the deck of a steamboat headed down the Missouri. He had escaped his troubles around Kansas City only to fall into a new set, as he suspected that a Henry Rout recognized him. 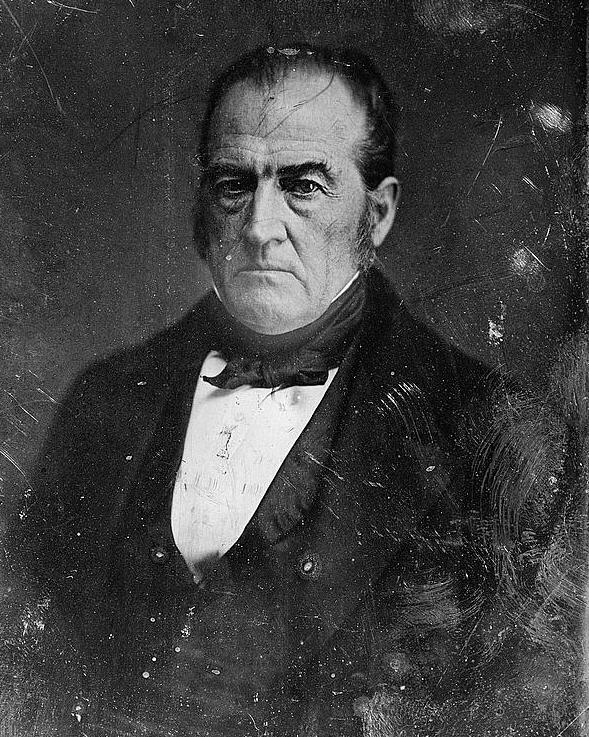 When the boat stopped at Lexington, Missouri, site of Charles Robinson’s capture, Kansas free state delegate to Congress feared that a mob would come aboard for him as had happened to the free state governor. He rid himself of anything that could compromise his disguise and waited tensely for some hours, but finally called it a night around eleven. I told him that a gentleman on board had informed me that my friends did not live there any more, and that I would go on to Booneville. Reeder declared this “partly true.” A person who asked after his business on the boat had prompted him to invent the Waverly friend. Reeder’s interrogator then wanted a name, which Reeder “told him at random.” Then he heard that no such person lived in Waverly. Kansas first governor thanked the gentleman for letting him know. Gentle Readers, you and I know that smells to high heaven. We also live in a world with readily available instantaneous, cheap communication. Nineteenth century Americans had letters and maybe a telegraph. They also moved about often, particularly in the West, in search of new opportunities. Back then, this sort of thing could happen far more easily and often, making Reeder’s story more plausible. Before noon, the captain of the boat came down to chat Reeder up. The ex-governor’s co-conspirators had arranged things with him before Reeder came on board, so he knew the score. He’d like to get Reeder off the deck and into the cabin, where he would have more comfort and possibly security, but just then many Border Ruffians occupied it. 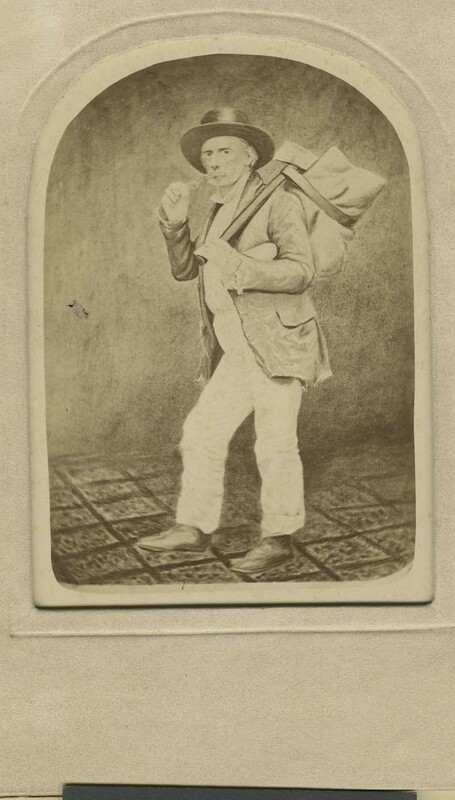 After letting him know, the captain sent a steward to offer Reeder food on the excuse that he had taken sick. Reeder declined, feasting on “good bread and cheese and a tin cup of water,” from his provisions. Reeder still thought someone marked him back at Lexington, so he must have remained wary of anything that would draw attention. watched with great care some three or four men who, I had persuaded myself, were suspicious of me. Was Lincoln A Third Party Candidate? Gentle Readers, I don’t intend today’s post as a commentary on the election come Tuesday. Anybody who reads me for any length of time can figure out who I think you should also support. But I do hope you vote, even if you vote differently. Refraining from exercising your franchise does not make you innocent of any consequences, upon yourself or others. When one doesn’t act to stop something, one has acquiesced in its happening. That’s true no matter how you would cast your ballot. 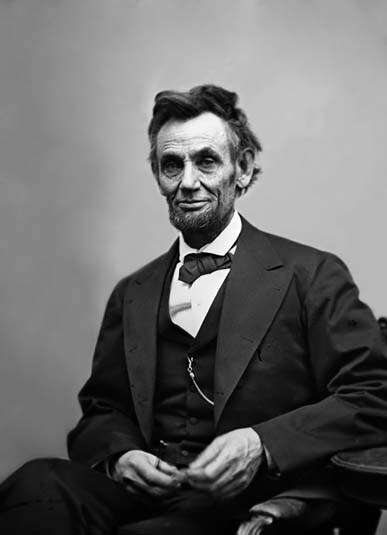 That said, you often hear that Lincoln ran as a third party candidate or that the Republicans constitute the nation’s only successful third party. These two claims rely on largely the same facts, so I shall treat them together. When we refer to a third party, we mean a party beyond the big two of the Democrats and Republicans. Every other party counts as a third and just which of the big two holds the top spot can vary from cycle to cycle. The same definition would hold for the nineteenth century, which had its own plethora of small political movements. Lincoln and his generation came of age during the Second Party System, which pitted the Democrats against the Whigs. Most of the time, the Democrats had the upper hand and the Whigs had a remarkably poor run of luck with their presidential candidates. They elected two presidents, both of whom died in office and thus gave way to a vice-president of rather different ideological cast. Knowing about the Democrats and the Whigs, and knowing Lincoln and many other Republicans as former Whigs, we might assume we have found a third party movement. A closer look reveals something different. The Whig coalition collapses over the course of the early 1850s. They elected a president, Zachary Taylor, in 1848. They tried to elect another, Winfield Scott, in 1852. Come 1856, no one runs for the White House on the Whig ticket. The end of a movement always involves endless complexities and we can find old school Whigs holding on or trying to revive conservative Whiggery (by no means the only form) in various ways up through 1860. The Republicans themselves thought they had a chance at it during Reconstruction. But as a practical matter, the national party dies at some point between 1854 and 1856. Slavery in the territories killed it. The prolonged crisis over slavery in the Mexican Cession demonstrated to the Lower South that Southern Whigs could not control or restrain their antislavery counterparts in the North, gravely wounding a party that already had a northward tilt. The Kansas-Nebraska Act extended the process to the Upper South, if not quite so completely, and produced the nation’s first lasting and avowedly antislavery party: the Republicans. The process by which that party came together involves quite a bit more than old Whigs just changing names. Former Democrats came over into the party, as did many supporters of the much more fringe Liberty Party. Together with northern Whigs, generally but not always those more to the left than the rest, they created a party which had plenty of Whiggery in it but also important infusions of Democratic antislavery thought. 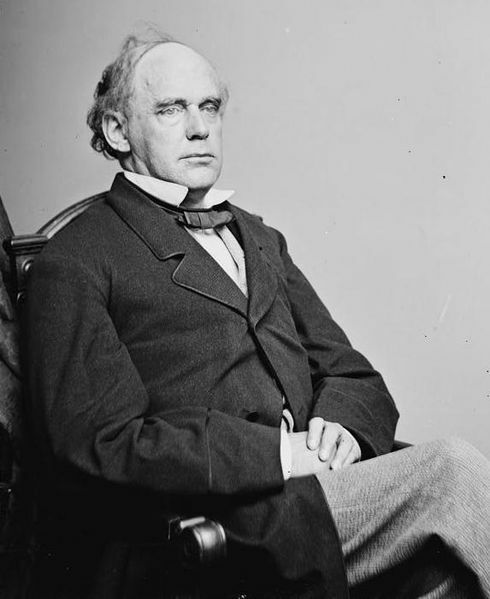 In the South, most ex-Whigs either quit politics or went into the Democracy, Alexander Stephens’ path, or joined with more conservative Whigs in the Know-Nothing movement in the middle years of the decade. Northern Know-Nothings usually ended up Republicans a bit further down the line. During the transition, a confusing morass of political labels abounded and it seemed for a time that the Know-Nothings might take the Whigs’ place as the nation’s second party. In the end, antislavery proved a more potent platform than nativism. That leaves us with the Republicans, arguably as of 1856 and definitely by 1860, at least the nation’s second party. That they formed out of fragments of prior coalitions doesn’t materially change that. The GOP contended with the Democrats for control of the nation’s course, possessing as they did sufficient influence to shoulder aside and consign other competitors to marginal status, precisely as the principals in a two-party system do. Of course, none of those means we should overlook the complexity of the 1860 election. Four men won electoral votes in that race, or rather two each won votes in two parallel races. 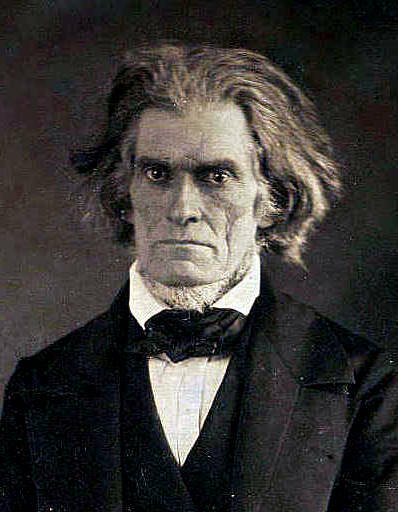 In the free states, Lincoln faced off against Stephen Douglas of the northern Democracy. In the slave states, where for the most part Lincoln didn’t even appear on the ballot, John C. Breckinridge competed against John Bell of the Constitutional Union party. If one wants to find third party candidates in the race, then all three of Lincoln’s opponents have a case for them. 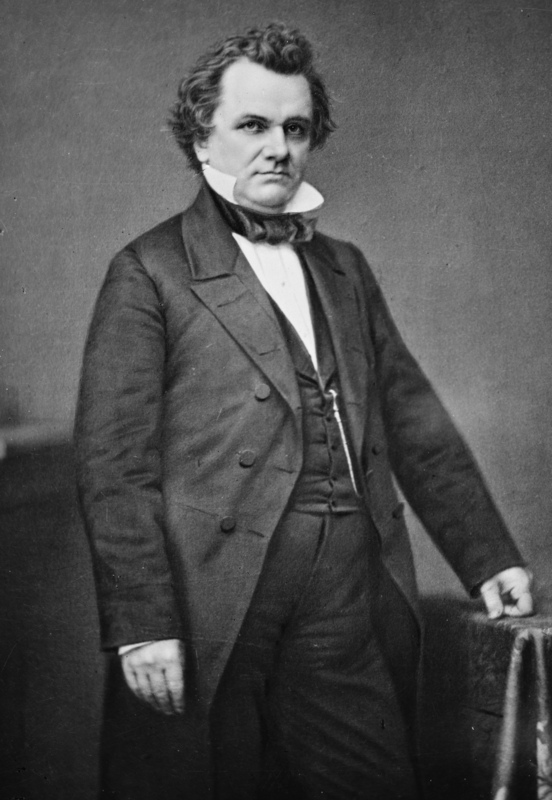 Stephen Douglas went to the Democratic National Convention at Charleston, South Carolina as the favorite for the nomination. 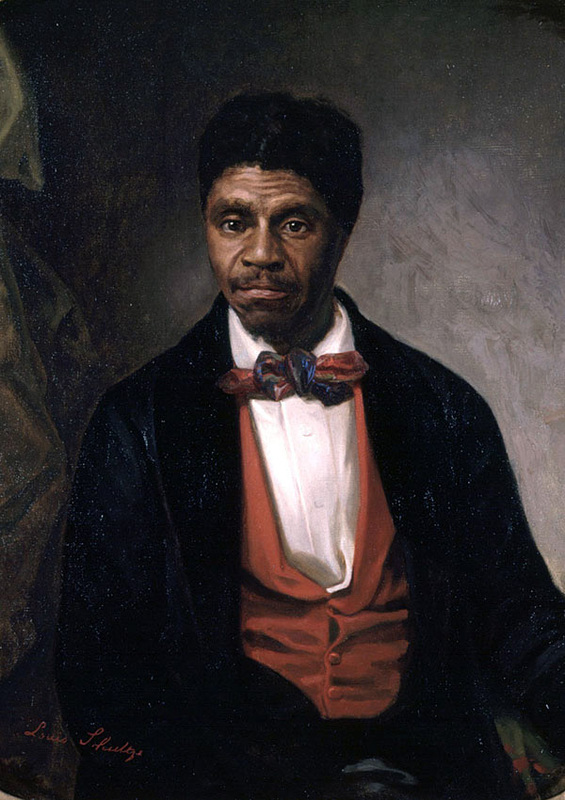 However, he had turned against the proslavery government in Kansas and split from the national party over the issue. In order to prove his bona fides, southern delegates wanted Douglas to sign on to a slave code for the territories. Douglas refused and they walked out. Attempts to get the southerners back into the room failed, which eventually left a rump to nominate Douglas as arguably the regular Democratic candidate. His supporters didn’t walk out, after all. Douglas came in dead last in the electoral vote, winning only Missouri and part of New Jersey’s slate, a decidedly third party sort of performance. But Douglas did represent the ordinary Democracy and garnered second in the popular vote. 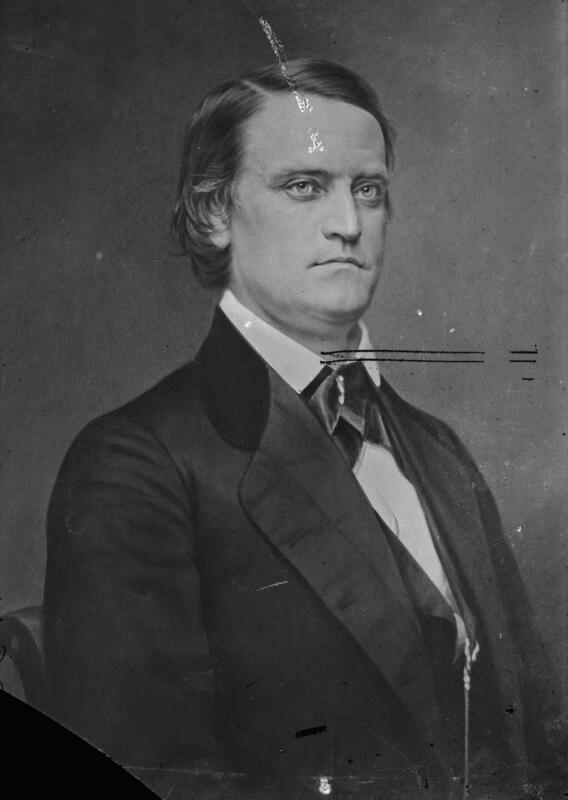 The Democrats who seceded from the party, most of them soon to secede from the Union too, nominated John C. Breckinridge. As a splinter of a still-extant party, Breckinridge’s looks like a third party movement. He came in third in the popular vote, but second in the electoral college. However, Breckinridge also represents the long-dominant constituency within the Democracy. If Douglas came to the polls at the head of the institutionally regular Democracy, then Breckinridge represented the beating heart of the coalition: Southerners committed to slavery’s perpetuation and expansion. Which leaves us with John Bell. Bell, like Lincoln, hailed from the Whig Party back in the day. His Constitutional Union party aimed to revitalize conservative Whiggery and its platform as an alternative to the slavery question, containing and frustrating agitation on, and functionally against, the issue through a kind of revitalized Second Party System. 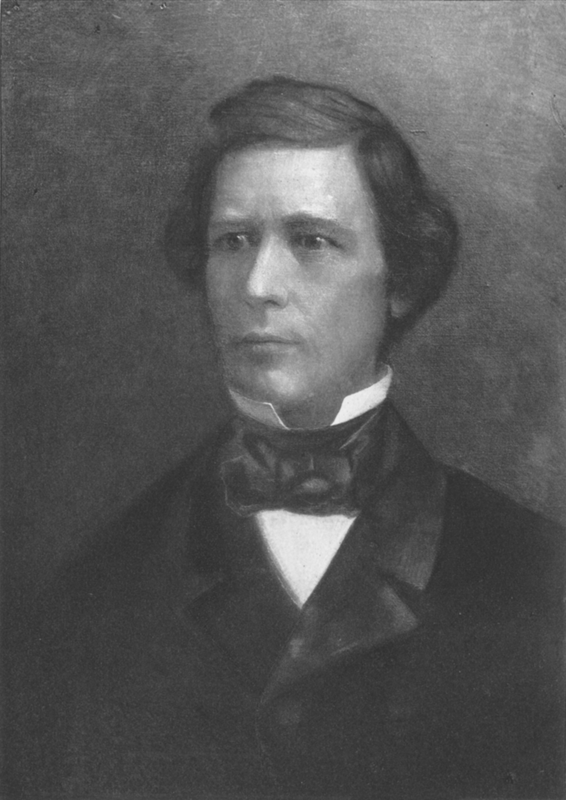 Bell won his own Tennessee, as well as Virginia and Kentucky. Both of the latter had long Whiggish associations. While Bell would surely have liked to see a president in the mirror come March of 1861, the realistic hope of his movement involved denying both Lincoln and Breckinridge an electoral college majority. That would have thrown the presidency into the House, where his candidacy might seem like the best compromise to keep the Union together by the skin of its teeth rather than burst it asunder. If we consider third parties oriented around disruption of the dominant political system and aimed at reorienting it from its dominant issues, Bell makes the best third party candidate in the race. 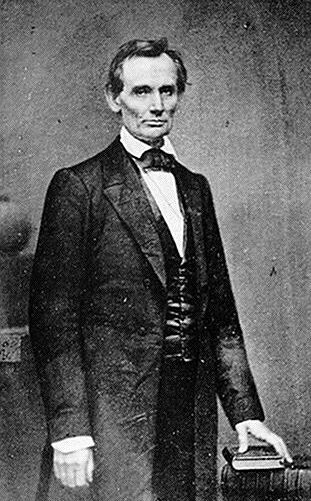 Abraham Lincoln ran as and considered himself a Whig until the Whigs expired. 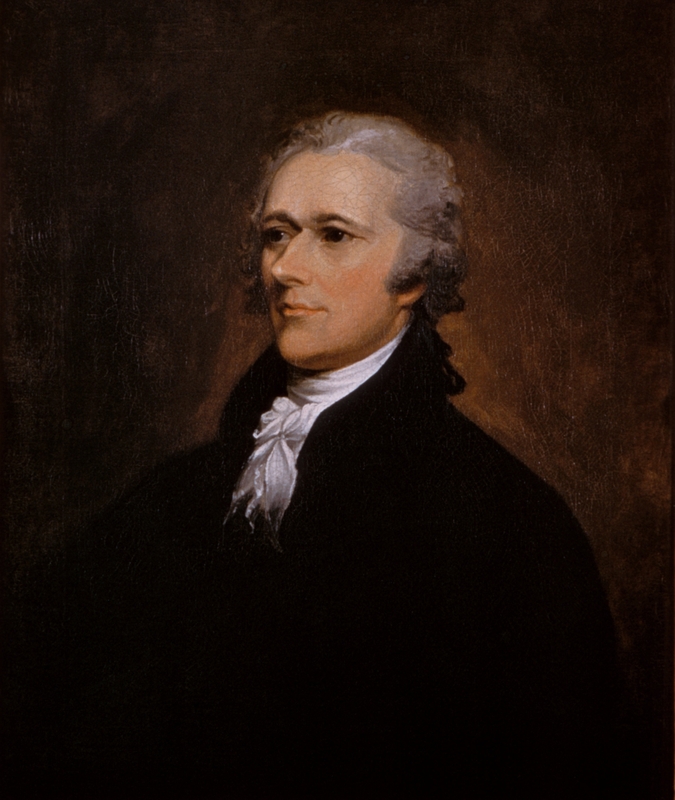 He then made himself a Republican and remained with the party until Ford’s Theater. In both cases, he consciously chose a position as a regular, loyal party man for one of the two dominant parties of the era. Of all the men who sought the nation’s highest office in 1860, Lincoln deserves the third party title least of all. If a third party designation means anything useful at all and we care about understanding the past through it, then it must mean the opposite of Lincoln. Gentle Readers, some time back an acquaintance of mine described my abiding interest in southern history. That didn’t sound quite right to me. I spend a fair bit of time studying the American South -mostly the ugly bits I admit- but when I name it for myself, I use “history”. The exact label doesn’t matter that much for my internal monologue, but I do aim for precision when asked by others. Depending on the context, I’ve told people that I study slavery, the nineteenth century, or the Civil War. I have lately moved away from the last one, as if one says one studies a war then one tends to get questions about battlefield tactics or other very explicitly military matters. I don’t object to that kind of question and, if it requires saying, accept that they have an important role in historical inquiry. But they don’t interest me as much as many other questions. None of my standard answers quite satisfy, but they get close enough for most conversations. I never considered, until the acquaintance suggested it, calling the whole business southern history. I knew the term existed, but hadn’t until then connected it with my own efforts. I still don’t, which probably sounds either silly or thick-witted of me. I don’t spend hours reading books about the lumber industry in Maine, Puritan Massachusetts, or Michigan during the fur trade. The stars of my bookshelves owned people, wanted to, or suffered under the attentions of the previous. Their business most often takes place within the confines of the slave states of 1860, or very closely adjacent and directly connected to slave state concerns. One cannot get much more southern than all that, given how completely slavery marks the South out from the rest of the nation. Where slavery went, the South went. Where white supremacists rode by night, there you find the South. The beating heart of Dixie pulses with the blood of stolen lives. If you grew up in the United States, you probably heard some version of that often enough. Study a little and you find Ulrich Bonnell Phillips telling you just the same. Southern history has a central theme: white supremacy. Most Americans from outside the region probably agree. They do things differently down there, if you know what we mean. This all has more than a whiff of the stereotypical crazed relative kept locked in the attic. We have a secret national shame which we dare not acknowledge, even if the whole world knows already. The more I have thought on this, the more apt that stock character from an age less considerate of the mentally ill has seemed. The good family squirrels away the human disgrace, which cannot bear the light of day. Some people shun society willingly, probably all of us have now and then. But the stock character doesn’t hide up in the attic entirely out of choice. Rather the family put him of her up there, away from prying eyes and so conveniently unacknowledged. We have a perfectly normal, healthy family, and you can’t prove otherwise. A fair observer of all this might suspect that we have tried too hard to make the case. Crazed relations don’t just fall from the sky; they grew up somewhere. Someone put them in the attic or, in later decades, had them committed. Who else but family? Stock characters don’t go around locking up someone else’s relations to spare them the stigma of mental illness. They do it for themselves. In confining their relatives, they push the whole of the burden on the afflicted. If something went wrong, it went wrong with that person, there. It has nothing to do with us. Look all you will, you will find no hint of strangeness about us. Stock characters don’t know their genetics or any of the other ways someone can end up ill. They don’t know much history either, except maybe a handed-down story about how now and then you get one of those sorts. But they know, at least implicitly, that if you get too close then the crazy might rub off on you. Often it already has. Our families don’t necessarily define us, but they try awfully hard. De Tocqueville could sail down the Ohio river and see enslaved dock workers on one side, free on the other, and imagine a vast rift separated them. I wouldn’t try to leap or swim the Ohio myself, and not only because I do better at drowning than floating, but his chasm tells only half the story. The distinctions between North and South deserve consideration, both on their own and as expressions of their principle source: slavery. No one can fairly look at the United States and say they have found uniformity. We really do have different ways of doing things. De Tocqueville’s Ohio separated the sections, but it also linked them. Farm products from the Midwest flowed down the Ohio to their markets. Southerners from Kentucky, including the Lincolns, moved across the same river to occupy the opposing shore. There they remained a powerful constituency, powerful enough to nearly make Illinois a slave state. They supported northern politicians who tilted South and constituted a significant check on the Republican party’s electoral success. The Grant Not-Yet-Old Party knew it had no hope in the South, so winning the White House required a great deal of support in the border North. Most of the butternut districts might have voted Democrat anyway, but their strength meant that the party needed a candidate with a more moderate reputation than party stalwarts of national standing, like William Henry Seward. The homely guy from Illinois worked out pretty well. This story doesn’t end in 1860 or 1865. The first Klan, and allied groups, murdered and terrorized their way across the South to fight black equality even in the limited form tolerable to most nineteenth century whites in the North. When black Americans left the region of their birth, as much refugees as immigrants, they came North to cities with factories hungry for labor. Many of the children and grandchildren of idealistic abolitionists, as well as newer white arrivals, didn’t like that one bit and consequently signed on for the second Klan. That national organization had little trouble finding recruits outside the South and for a time controlled the government of Indiana. In many places, near enough every white man joined up. Did all those communities, and the state of Indiana, join the South for a while? The Civil War and the Civil Rights Movement punctuate Southern history. They set the section apart from the rest of the nation. Those things happened down there, involving those people. Then the rest of us knocked some heads together and it all worked out. Integration for everyone. It all sounds plausible enough, if you leave out the rest of the nation. If a generation of civil rights activists suffered losses, many of them tragic, then they had some wins too. When the movement swung north those dried up fast. My own state, Michigan, successfully defended segregation before the Supreme Court. White Bostonians rioted against the possibility of their children sharing a classroom with black children in the 1970s, not the 1850s. By that point, Southerners had done most of their rioting on the subject and restored segregation through private schools. And I don’t see southern states going out of their way to poison majority-black cities. If we take white supremacy, or even just especially virulent and unrepentant white supremacy, as the defining trait of the South then we have a real problem. We have the South, sure enough, but on a fair examination it might take us a long time to find the North. We might not find it at all. With this in mind, I think that calling the subject Southern history gets close to the truth, but so close that one can miss the forest for all the damned trees in the way. Places outside the South’s traditional bounds do differ, but not nearly so much as those traditional distinctions might lead us to believe. Southern history is American history. The abolitionists don’t figure very large in the general memory of the American Civil War. They deserve quite a bit more prominence, but then we would have to all admit just what the majority of the slave states chose to fight for. When they do come up, one often hears about them of people of great Christian virtue. Through their example, they give proof positive that we need more Christianity in our lives and, more pointedly, our government. The speakers will sometimes make a faint ecumenical gesture and say “faith” or “religion” but they mean Christianity. Nobody honestly thinks they mean we need to get right with Zeus. Nor do they mean any of Christianity available, but rather their specific sort. I don’t want to debate the merits of that suggestion today but, in discussing such a sensitive topic, fairness demands I lay my cards on the table. I am a thoroughgoing secular humanist, an unbeliever in every religious creed of which I have heard and expect ever to hear. While I have a significant interest in religions as cultural and historical phenomena, they do not engage me as they would a believer. At this point I must add, because the question naturally arises and some who agree with me on some points of understanding with regard to religion opt to make asses of themselves, that I don’t think religion necessarily makes morally or intellectually inferior or that irreligion makes one in the same ways superior. I have not come here today to praise faith of any sort or to damn it, but my perspective does come necessarily informed by unbelief. Lincoln never made for much of an abolitionist until the very end, but most of them would have heard their convictions in that. If I could end there, I wouldn’t have bothered to write this. Antislavery Americans did have secular arguments against slavery and we would do well to understand them, but they had religious scruples as well. One does not negate the other. The problem comes in the fact that proslavery Americans did much the same. They, as Christians, believed that they ought to hold slaves. They believed that through slavery they taught a savage and inferior race the rudiments of civilization and brought the light of faith to otherwise damned souls. How studiously they tended to that Christian obligation naturally varied. Anything that seemed likely to lead to literate slaves, particularly gathering with other slaves under minimal or no supervision, could raise eyebrows and provoke suffocating scrutiny if it somehow escaped legal proscription. Likewise we should consider that the enslavers thought the right sort of Christianity might pacify their restive human property. But we can’t deny a genuine, if far from benevolent, missionary impulse played its part. I FIND, since reading over the foregoing Narrative that I have, in several instances, spoken in such a tone and manner, respecting religion, as may possibly lead those unacquainted with my religious views to suppose me an opponent of all religion. To remove the liability of such misapprehension, I deem it proper to append the following brief explanation. What I have said respecting and against religion, I mean strictly to apply to the slaveholding religion of this land, and with no possible reference to Christianity proper; for, between the Christianity of this land, and the Christianity of Christ, I recognize the widest, possible difference–so wide, that to receive the one as good, pure, and holy, is of necessity to reject the other as bad, corrupt, and wicked. To be the friend of the one, is of necessity to be the enemy of the other. I love the pure, peaceable, and impartial Christianity of Christ: I therefore hate the corrupt, slaveholding, women-whipping, cradle-plundering, partial and hypocritical Christianity of this land. Indeed, I can see no reason, but the most deceitful one, for calling the religion of this land Christianity. I look upon it as the climax of all misnomers, the boldest of all frauds, and the grossest of all libels. To Douglass, enslaver Christianity amounted to no Christianity at all. I have nothing but sympathy for his desire to share no religion with them, just as I dislike sharing the name of atheist with Joseph Stalin. More than that, I see in Douglass an intensely admirable man with whom I do not eagerly disagree on matters of his particular expertise. However, to make a distinction as Douglass does requires us to decide that there exists one true Christianity against which we measure all who claim the name. When we find those who claim the title differ from the true faith, we can pronounce anathema on them. If believers wish to find that true Christianity and pronounce those anathemas on their own account, they may do so. I don’t consider them insincere or dishonest for it. I do, however, not consider these judgments to have bearing on points of history. The means by which believers make these distinctions amongst themselves come down to theological commitment and devotional exercise, with historical argument rarely playing even a peripheral role. Even apparently objective criteria like examining the statements of Jesus in the Bible inescapably come freighted with presumptions about the role of scripture and its correct methods of interpretation which have caused intense, sometimes bloody, controversy within Christianity for so long as the religion has existed. Granted a particular set of premises about them, I might make the same judgment. But which of the competing Christianities ought one take as definitive? History offers no answer to that, nor can it. We can say which Christianity we find more admirable and thus would rather prevail, of course. The question, however, often comes to rather more than that. By asking which Christianity deserves the name, we make an implicit judgment about Christianity. Do we consider it primarily good or bad? Here I must demur. I see Christianity as far too large and sweeping a thing to reduce to a one word answer. We may as well as the question about freedom or government and then find ourselves instead considering the freedom to do what or from what, or which government, doing what, and when. Christians, motivated by and in service of their faith, fought slavery. Other Christians, motivated by and in service of their faith, fought for slavery. Christians have done good and evil, each time citing their faith as the cause. On a personal level, religion has brought great agonies and great comfort. Beautiful works of art and horrifying destruction alike have come from hearts fired by faith. Proslavery and antislavery Christians alike saw good, honest, faithful faces in the mirror. I prefer the latter; I hope you do as well. But our preferences can only tell us about ourselves, just as the preferences of historical actors tell us about them. Frederick Douglass considered slavery evil and Christianity good. Therefore an enslaving Christian made as much sense as a square circle or six-sided triangle. The enslavers, by and large, thought the opposite. Abolitionists, they held, had wandered from the true light of faith. With that in mind, I can only say that historically Christianity proved equally compatible with slavery and abolition. I apologize if my answers don’t satisfy, but I have no others to give. What did the founders think of secession? The conventional story goes something like this: The founders donned their powdered wigs, put their knee breeches on, and cheered as George Washington applied the requisite amount of boot leather to the necessary number of British posteriors. Thirteen colonies turned into thirteen free and independent states. They did not constitute, in any meaningful sense, a nation. The founders shared with the people of the several nations an abiding suspicion of central authority. Only the Revolution had united them and with it done they could all go back to those nations and have nothing more to do with one another. They never intended to create a consolidated republic and always imagined association between their states as strictly voluntary and subject to unilateral termination, secession in a word, at any time. To the degree the former colonies associated, they associated like you might associate with someone you met once at a party. Having a good time together did not make them married. This vision persisted through the Antebellum until the Tyrant Abraham I, the Hammer of Dixie, enslaved us all. Thus they said “the United States are” before the war and “the United States is” after, or even if they didn’t then they held sentiments largely along those lines. Shelby Foote said so. I cannot improve on Andy Hall’s demolition of the argument from phrasing. Americans did not primarily or exclusively say “the United States are” until the Civil War and take up the singular verb after. The transition happened decades earlier. But that still leaves the meat of the story. Did antebellum Americans, most especially the founders whom the secessionists claimed as their own, consistently understand the Union as inherently voluntary, with states free to depart at will or, failing that, when they felt things sufficiently dire to justify an extreme step? In short: no. A perpetual union hardly incorporates in itself any right to secession. Finding the power of the central state insufficient, must we think that the founders got together in Philadelphia to remedy that and then undermined their own work so comprehensively as to nullify it at the whim of any given state? The requirement that all states agree on legislation proved a critical weakness in the Articles, so would they really write it back into the Constitution? People in the past can do things that seem to us perverse and understand themselves instead as consistent with sound principles, but that suggestion would not have made any sense at the time. The Philadelphia debates bear this out. Just a few days ago I noticed that Robert Middlekauf’s The Glorious Cause the Oxford History of the United States volume on the revolutionary era, sold by Amazon as an ebook for all of three dollars. I have not taken much interest in revolutionary history due to all the patriotic myth making. I know that historians do good work there, but the flag waving enthusiasm put me off long ago. All the same, I wanted to check something I’d heard in Mike Duncan’s wonderful Revolutions podcast. So I winced at the title and got my file. I have only read the chapters on the Constitutional Convention and ratification, but they proved a gold mine of information about what the founders thought on the issue. As much of the Philadelphia deliberations concerned representation in the Congress, they naturally dwell upon what states deserve in the way of power. It also made for a really good read. I intend to go back and finish the rest at some point. 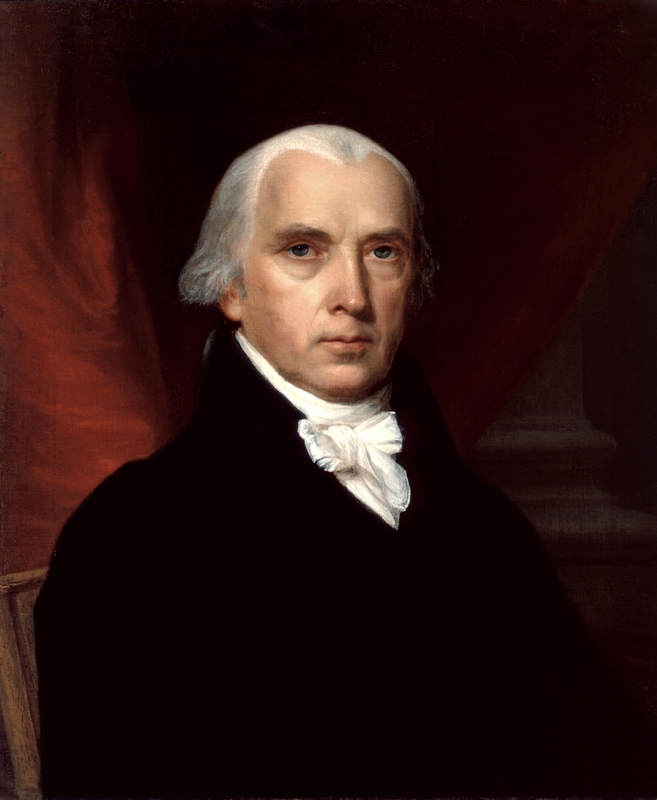 I already knew that James Madison came to Philadelphia with a plan to grant the national government a sweeping veto over any state legislation, but the account I got back in high school painted the advocates for equality of the states in the Congress and those who argued for apportionment by population as roughly equal. In fact, only New Jersey and New York favored the former’s equal representation plan when it came down to voting. If a broad consensus existed in Independence Hall, it did not view the states in themselves as the principal components of the new nation. Otherwise one would expect much stronger votes in favor of state equality. What does this have to do with secession? A weak government could hardly prevent it. A strong one could coerce recalcitrant states and wake them from any dreams they had of disunion and nullification alike. denied flatly the states were sovereign-“in fact they are only political societies. There is a graduation of power in all societies, from the lowest corporation to the highest sovereign. The states never possessed the essential rights of sovereignty. These were always vested in Congress.” The states, Madison argued, “are only great corporations, having the power of making by-laws, and these are effectual only if they are not contradictory to the general consideration. The states ought to be placed under the control of the general government-at least as much as they formerly were under the King and British Parliament.” And from these propositions about the character of the states-devoid of sovereignty, mere corporations, properly under the thumb of the national government-it followed that since America was a republic, representation must be based on the people. A state which does not have final sovereignty, which constitutes a mere corporation and with laws that hold only as by-laws of its particular interests rather than paramount legislation, could hardly secede on its own initiative alone. The smaller the society, the fewer probably will be the distinct parties and interests composing it; the fewer the distinct parties and interests, the more frequently will a majority be found of the same party; and the smaller the number of individuals composing a majority, and the smaller the compass within which they are placed, the more easily will they concert and execute their plans of oppression. Extend the sphere, and you take in a greater variety of parties and interests; you make it less probable that a majority of the whole will have a common motive to invade the rights of other citizens; or if such a common motive exists, it will be more difficult for all who feel it to discover their own strength, and to act in unison with each other. Besides other impediments, it may be remarked that, where there is a consciousness of unjust or dishonorable purposes, communication is always checked by distrust in proportion to the number whose concurrence is necessary. A state government must, by definition, constitute a smaller society than the general government. A local government would constitute one still smaller. 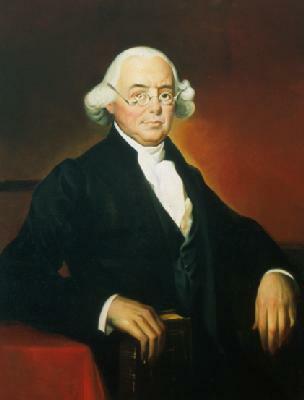 Madison considered the smaller a far greater risk to the rights of others, a position often born out in twentieth century Supreme Court cases. One could also reach further back and look at the sort of oppression and outright persecution that the slave states indulged in to protect slavery. If one counts up state-level emancipations and exempts states built out of territories which had nationally imposed bans on slavery in their bounds prior to statehood, we have to stop counting states that ended slavery on their own and without war forcing matters at the Mason-Dixon Line and Pennsylvania-Ohio border. This gives us only Maine, New Hampshire, Vermont, Massachusetts, Rhode Island, Connecticut, New York, New Jersey, and Pennsylvania. From these nine we could subtract Maine as it had a Massachusetts-imposed slavery ban before it became a state, and Vermont, where slavery had never been practiced and so eliminating it took little exertion. This leaves us with seven states to live up to the laboratory of democracy reputation. Against them, we could count both the fifteen slave states of 1860 and the two slave territories of Utah and New Mexico. I would not say that states necessarily and always take the low road, and some have gotten out in front of the national government often enough, but the overall example does not give much encouragement when concerns go beyond simple things like traffic laws and into questions of minority rights. We know how the dispute worked out in Madison’s day, just as we know how it did in the case of Lee v. Grant. Adherents to other theories of national composition certainly existed. They had enough strength, when the advocates of state equality made it into a make-or-break issue, to force compromises. But the notion that the founders acted with one mind, however always borderline absurd, and that this mind fixed on the sovereignty of states simply doesn’t have a leg to stand on. National supremacy flowed not from Lincoln in Washington, but from the convention Washington chaired in Philadelphia. But, the conventional story then goes, whatever happened at Philadelphia ratification came contingent upon various undertakings. Most famously, the states only ratified with the promise that the Congress would pass a Bill of Rights and with some kind of tacit understanding that if this did not work out, the states could quit the union and resume their independent sovereignties. This point came lately to my attention via a video Al Mackey posted over at Student of the Civil War. It begins with Akhil Reed Amar, a constitutional law scholar who teaches at Yale, discussing the legality of secession. The secession discussion only consumes the first portion of the run time, but in it Amar makes some important points. By definition, sovereignty rests with whoever has the final say. The Constitution did not grant that power to the states, nor hazily delegate it to them by not granting it to the nation. It instead strips them of any such power to make laws, even state constitutions, contrary to the laws of the United States. Note that the provision does not limit itself to the national Constitution or treaties, but reaches to any federal legislation whatsoever. Even if the states had sovereignty before ratification, they ceded it then. This leaves no room for nullification either of one law or, in its ultimate form, the nullification of all federal laws by secession. A state could pass a law nullifying the tariff or the Fugitive Slave Act, as respectively South Carolina and Wisconsin did, but such laws existed only on paper and until a federal court declared them void at the latest. 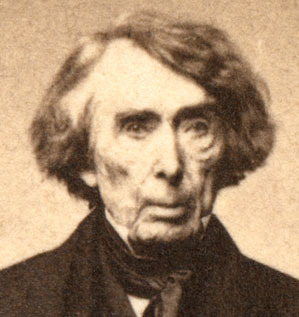 Roger Taney’s Supreme Court agreed on the second point when it tossed Wisconsin’s act of nullification, to the thunderous silence of most of the usual states rights enthusiasts. What part of this did South Carolina miss? Presumably the part where its nullification must meet with general approval as such a nullification would strengthen and preserve slavery whereas Wisconsin’s would not. I am sorry that your situation obliges you to listen to propositions of the nature you describe. My opinion is that a reservation of a right to withdraw if amendments be not decided on under the form of the Constitution within a certain time, is a conditional ratification, that it does not make N. York a member of the New Union, and consequently that she could not be received on that plan. Compacts must be reciprocal, this principle would not in such a case be preserved. The Constitution requires an adoption in toto, and for ever. It has been so adopted by the other States. An adoption for a limited time would be as defective as an adoption of some of the articles only. In short any condition whatever must viciate the ratification. If Madison would have broken principle in the name of pragmatism, one must imagine he would have done it then. The Constitution already had the nine states it needed to go into effect, plus an extra, but the loss of New York would have meant a great blow. Unlike Delaware, South Carolina, or other states which desperately needed a union to sustain themselves, New York with its great port and generous hinterland might have been able to go it alone. Its bad example would weaken the new union from the start, hence his, Hamilton’s, and Jay’s writing of The Federalist to begin with. Let the thirteen States, bound together in a strict and indissoluble Union, concur in erecting one great American system, superior to the control of all transatlantic force or influence, and able to dictate the terms of the connection between the old and the new world! Strict and indissoluble, not loose and easily broken. I don’t know how the founders chose to organize their private time save for the evidence given by their progeny, acknowledged and otherwise. In their political acts they present a clear record favoring not states, with the national government as a kind of necessary evil, but rather saw it as a necessary and positive good and, moreover, as a clear way to suppress contrary movements in the states. That doesn’t mean we would necessarily find all their motives for doing so appealing or in line with those who favor a stronger national state today, but they did what they did and wrote what they wrote. This myth, like the myth of the antislavery Lee, will endure this and many other blog posts. It will survive the scorn of historians. The supposed advocates of original intent will read it, as they do all other inconvenient facts, as irrelevant rather than persuasive. They and their more radical compatriots, latter-day secessionists who ask us to believe that just this once the rhetoric they employ lacks the white supremacy which has so consistently informed it in the past, must wrap themselves in a pretend history of original intent. The real one doesn’t have much to offer them. The framers envisioned the possibility of unilateral secession, as attempted in 1860-1, and nullification as attempted by South Carolina and Wisconsin alike, and foreclosed each in Philadelphia and at ratification. Antebellum Americans knew as much and needn’t live in the cold heart of Yankeedom or on the Illinois prairie to notice it. The Confederates at the time understood their movement as revolutionary, only deciding that they really did have a clear legal right after losing the war. Why should we pretend otherwise, unless we aspire to rehabilitate the some of the same politics that they did? Secession for what? States rights for what? If one can get a straight answer from the Confederacy’s latter-day partisans, in itself a major achievement, and they have cleverness enough to not simply say “slavery” with one of the usual codes, then I usually hear preserving the founders’ vision of the Union. It didn’t take a deep look into the founding era to find out what that vision entailed. One can and should note that it included slavery for at least the foreseeable future. But it did not include secession or nullification at all.